I feel privileged to be asked to contribute this little foreword for this wonderful book written by my good friend, Young Bong Kang. I first met Kang when he came to India in 2007 and joined M/s Ever Electronics (one of the main OEM for the Korean giant, L.G. Electronics) as my junior colleague. From the beginning, he impressed me with his professionalism and in-depth knowledge of working on the shop-floor, particularly with SMT technology. To be honest, I would be only too happy to admit that though he was reporting to me, I learnt a lot from him about the SMT process! He has a rich experience of 24 years in SMT manufacturing, right from the selection of machines, layout of machines, process parameters and material management. 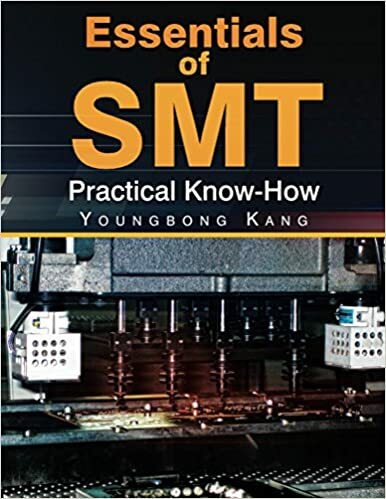 Kang has put all his practical knowledge and wisdom associated with SMT manufacturing and presented all its nuances in a very easy-to-understand format through this fine book. After having worked with Sharp and LG Electronics for close to 20 years, I can vouch for the fact that I have never seen a book that is so practical in nature. It makes me realize that if only I had had an opportunity to work with such a genius during my apprenticeship period, I would have been miles ahead!